One morning in the woods of World War I France, two young sisters stumble upon an astonishing find — a soldier, temporarily blinded by war, who has walked away from battle longing to see his gravely ill younger brother. Soon the care of the soldier becomes the girls’ preoccupation, but it’s not just the secret they share that emboldens them to steal food and other comforting items for the man. They are fascinated by what he holds in his hand — a tiny silver donkey. 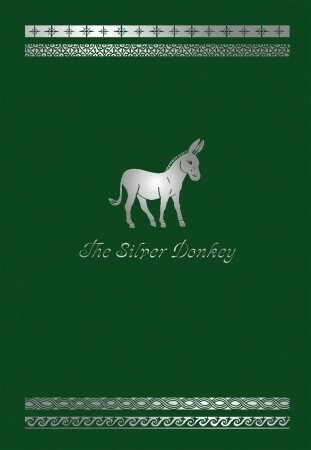 As the girls and their brother devise a plan for the soldier’s safe passage home, he repays them by telling four wondrous tales about the humble donkey — from the legend of Bethlehem to a myth of India, from a story of rescue in war to a tale of family close to the soldier’s heart. Sonya Hartnett explores rich new territory in this inspiring tale of kindness, loyalty, and courage.